Korean foods have become more and more popular across the world as people learn about their amazing health benefits. 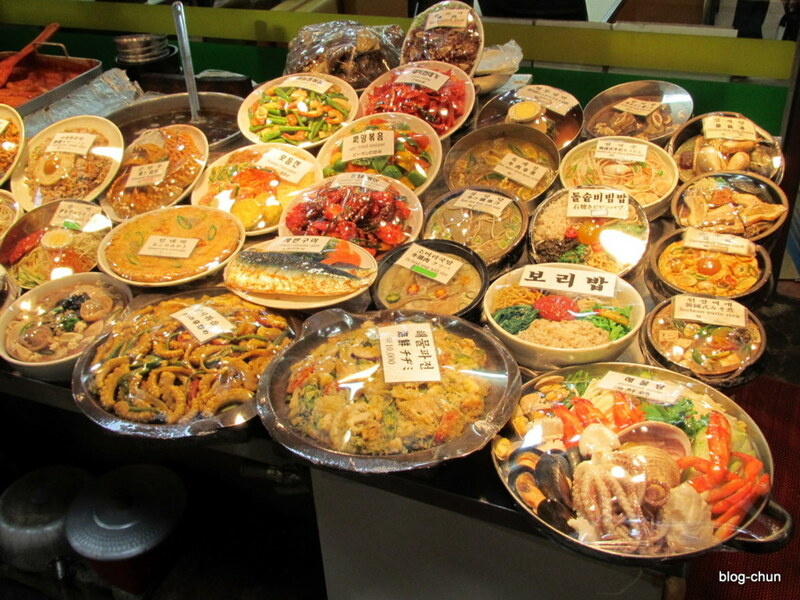 Many Korean foods are prepared through fermentation, a type of food processing that gives rise to healthy bacteria, enhances food flavors, churns interesting aroma, and extends the shelf-life of foods. Fermentation is one way of food preparation that Korean monks of old times used in hopes of helping Koreans live long lives and develop robust bodies fit for serving the country. The practice of fermentation continues today, making Korean foods not only healthful but also tasty, filling, and unique. Below is a list of the ten most popular Korean foods that you ought to try. Some of them are fermented while some are not. Just the same, all of these foods are well-liked in Korea and can be found in just about any Korean restaurant. Without a doubt the most popular Korean food that non-Koreans have to try is kimchi, a Korean dish made of fermented vegetables and which has been regarded as one of the healthiest foods in the world. It has mega-doses of calcium, protein, antioxidants, vitamin B, and fat-burning properties. Kimchi is a staple in Korea. It is used as a side dish in almost all meals but can also be eaten on its own. 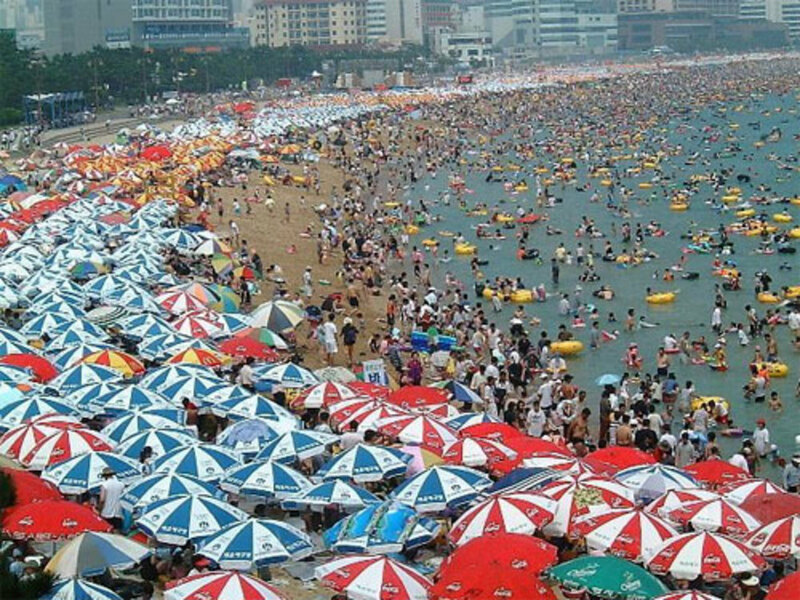 So popular is this food in Korea that it has spawned over 200 local varieties and has been shipped worldwide as a uniquely Asian delicacy. 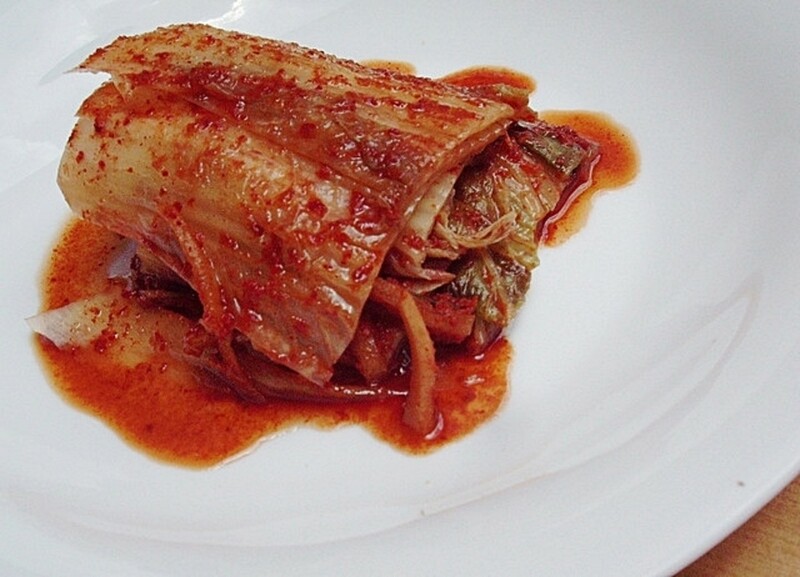 Kimchi is usually made of fermented cabbage or radish, seasoned with chili powder, anchovy-based broth, rice powder, garlic, onion, and ginger. An easy-to-prepare Korean food that millions of Korean kids and adults equally love is bulgogi, tender parts of beef or pork marinated in soy sauce, sesame seed, and sugar or honey, then grilled to perfection. Bulgogi is often eaten as a viand and is almost always served with rice. Koreans take pride in the fact that bulgogi is so tender that one needs not chew so much to eat it. They say that the secret of bulgogi lies in the fact that only lean and tender parts of a meat are chosen, and that the marinating sauce is full of flavor. The authentic bulgogi melts in the mouth. A Korean food that is considered as a complete meal in itself is the famous bibimbap, a mixed dish of rice, vegetables, fish, meat, poultry, and seaweeds that gives Koreans a feeling of satisfaction and fullness for many hours in a day. 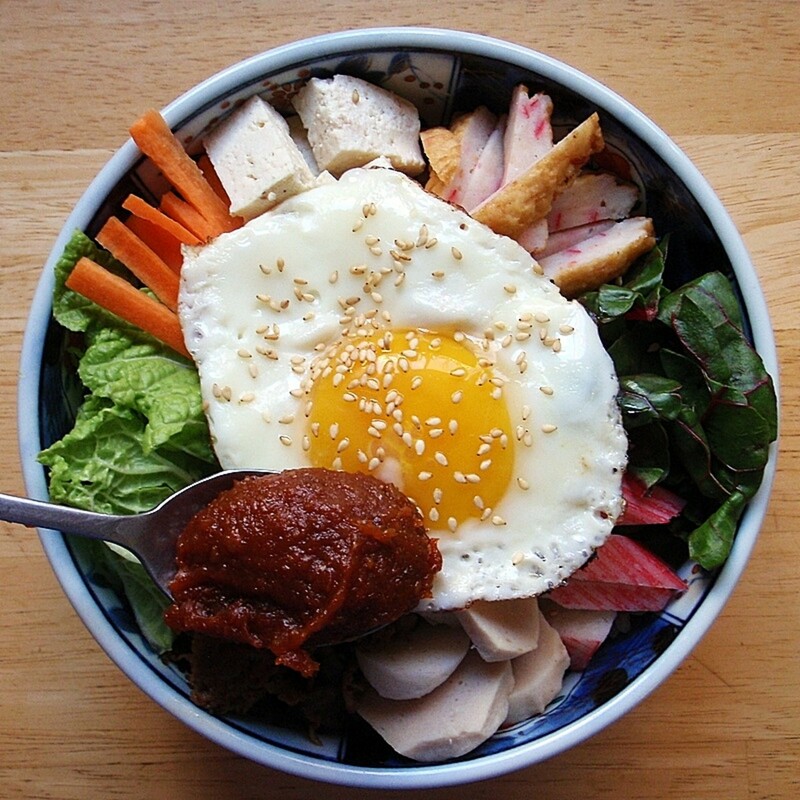 Bibimbap is prepared by putting in rice in a bowl and topping it with sautéed and seasoned vegetables and seaweeds. Slices of meat, fish, and either raw or fried egg go on top of the vegetables. Simply mix the ingredients together and voila! Your bibimbap is ready to eat. For enhanced flavors, consider adding in chili pepper paste. Easily recognizable for its green onions is the Korean seafood pancake dish called hemul pajeon, a food made of egg, flour, and seafoods like shrimps, squids, and oysters. It is traditionally eaten during cold days with rice wine or a dip of soy sauce, vinegar and other seasonings. Many people prefer to eat it with rice, as hemul pajeon can be a flavorful viand to otherwise bland rice. 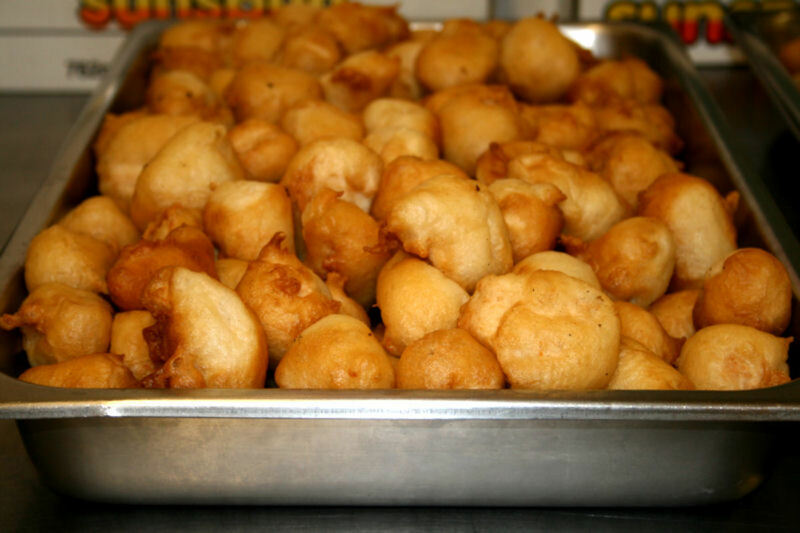 A popular Korean street food that Korean children love is hotteok, a type of pancake filled with sugar, honey, cinnamon, and nuts. Hotteok used to be a winter food. Now, Koreans eat it any time of the year. Another Korean street food with very interesting taste as well as history is the ddeokbokki. Ddeokbokki was once part of the haute cuisine of the imperial Korean household. So appetizing is this dish that it is now mainstream and an affordable street food in Korea. Ddeokbokki is made of steamed tteok, a kind of Korean cake made of sticky rice flour. The tteok is then mixed with slices of meat, veggies, and eggs. The finished dish is then topped with nuts. Yangnyeom tongdak is Korea’s answer to the world-famous fried chicken and it does not disappoint. It is one kind of fried chicken with little fat on the skin, making the chicken skin crusty, crispy, yet thin. Once the chicken is fried, it is then seasoned with spices, usually red sauces that are sticky as well as sweet and spicy. The preparation of yangnyeom tongdak is incredibly unique. The chicken meat is left juicy after all the frying. One would wonder how it could really have been fried chicken. A popular Korean dish of stir-fried noodles that bursts with sweet and salty flavors is japchae. Japchae can be eaten hot or cold and can even be made spicy with chili. Another well-loved food in Korea is the grilled galbi, a best-seller among locals and foreigners alike. Galbi is usually made of beef ribs marinated in soy sauce, sesame oil, salt, and green onions, before it is grilled and eaten. It is considered as a food for special occasions. Tteok is rice cake in Korean. It is a category in Korean cuisine rather than a single dish. There are over one hundred kinds of tteok in different sizes, tastes, and colors. Most of them, however, are made of sticky rice, fruits, legumes, and vegetables. great hub and looks really yummy and healthy in a picture! @cmcom Hi! You won't regret having a bulgogi. 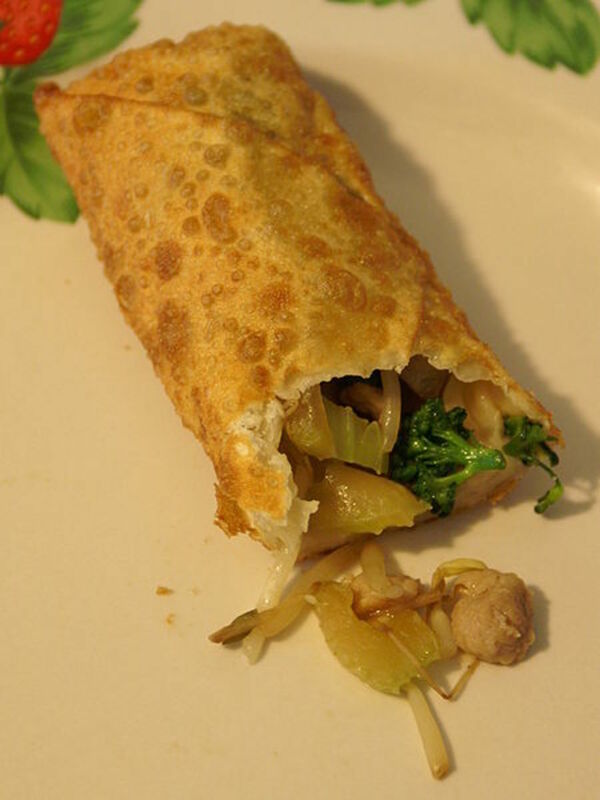 It may be Asian in origin but the taste is so great even Westerners would like it. Everything looks delicious. I can't wait to try bulgogi. @Minnetonka Twin Oh thank you for dropping by :) Read your profile and your hubs, I'm now your fan! Wow,these recipes are incredible~ Can't wait to try these out. Gonna bookmark this great hub. @katrinasui Thank you so much for visiting my hubs :) Hope you get the chance to try Korean cuisine soon! Fantastic Hub!Thanks for sharing these wonderful recipes. I felt craving for those foods while reading this hub. @may018 Oh hi! Thanks for dropping by my hub :) Gee, I envy you. You've got Korean restos near your place. @Admiral_Joraxx Hello kabayan! The closest that Filipino foods can get to these Korean foods is through our native kakanin, rice cakes :) Tteok is similar in many ways to tteok. Hi kerlyn,this is truly awesome,while reading this I felt craving for those foods. There are Korean restaurant here in our place and I might try those foods later. Thanks for this list. @asmaiftikhar Hello to you! LOL :) I suggest the Korean fried chicken. It's very easy to make but I promise you, the end-product would be something else. Good guide of the Korean cuisine! We usually hear about Chinese and Japanese meals, but it's more difficult to find info on Korean dishes. Dear k it is unfair that you always provide the material which tempted me.Ah wat a pudding and a roasted meat that makes me hungry in this time.beautiful and interesting hub.keep it up! i am going to eat something.